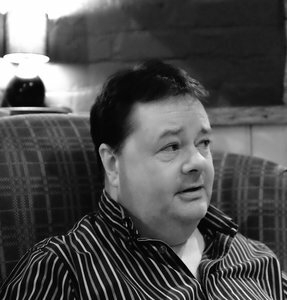 Today, I’m delighted to welcome Paul Connolly to Virtual Book Club, an interview series in which I put questions to authors about the books they’d like to persuade your club to read. If you want to pose a question of your own, you’ll have the opportunity to do so at the end. Paul was born and brought up in Liverpool, and his first memory is hearing Help! by The Beatles at the age of five. After studying Biology at Manchester University he worked for many years as a technical author in the computer industry, the foundation of his writing career. Paul sings bass with award-winning a cappella group The Royal Harmonics, which provided the inspiration for his debut novel, The Fifth Voice. He lives in Berkshire, visits Lundy Island as often as possible, supports Everton F.C., and has a grown-up daughter. Q: Paul, perhaps you can start by telling us how you became a writer. I first realised I wanted to write at the age of ten, when my primary school teacher asked the whole class what we wanted to be when we grew up. My answer was ‘a journalist’. That didn’t come to pass, but my first job after graduating was as a software technical author in the computer industry. Those were the days of mainframe computers, and the first PC had only just been invented. My job was to understand how complex software works and write operating manuals for programmers and other techies. For the first nine months I was not only trained in the software itself, but was taught the skill of technical writing, the essence of which is the ability to write with clarity and economy, and to plan and structure large volumes of material. Though it would be over twenty years until I turned to creative writing, the experience I gained as a technical author was invaluable, giving me a very strong foundation to my writing career. Q: You generally write in the genre of contemporary literary fiction, but what can readers expect? I write about modern life and the human condition, so my stories describe the troubles and triumphs of characters most people can identify with. I’d like to think that the characters’ situations are keenly observed, and while I wouldn’t describe my work as comic, humour plays an important part in my writing style. My favourite review for The Fifth Voice was from Reginald Perrin author David Nobbs (RIP), who described it simply as ‘a funny, touching, and charming tale’. There are lots of elements that make a great novel, but I would single out believability, a story that keeps you wondering what next, and a satisfying (though not necessarily happy or conclusive) ending. In terms of believability, I wanted the story of The Fifth Voice to be grounded in real life, tackling human issues, and working through the various struggles of the ensemble cast. However, at the heart of the story is something more enigmatic – the concept of The Fifth Voice itself. Ostensibly, it’s the name of a vocal technique which the four main characters are trying to master in order to achieve their musical goals, but it’s clear there’s something else at work here also. In terms of keeping the story moving, I was very conscious of ending every scene and every chapter with a hook that compelled the reader to keep turning the page. And as for the ending itself, I reveal how the various plot strands resolve, and where the characters end up, which I hope is satisfying. The Fifth Voice is a poignant and comic tale of four lives and a single passion. Q: Was The Fifth Voice inspired by any real events? It was inspired by my experiences as a singer. 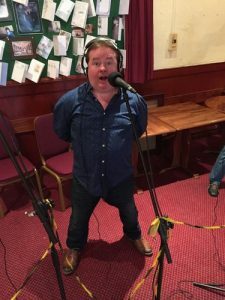 I have sung and competed with a cappella quartets and choruses, which has not only introduced me to a wonderful art form, but to lots of interesting characters, some of whom are just a little eccentric. The bonds of friendship that can be created by ensemble singing, and the transformative power of music itself, are central to the story. Q: You mention the transformative power of music. 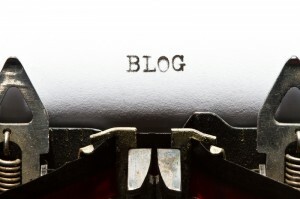 Was writing the book also a transformative experience for you? Writing a novel is very hard work, takes a long time, and at no point do you ever really know whether anyone will enjoy reading it. The tendency to self-doubt is always with you. So when, after several years in the works, The Fifth Voice was published, my reaction was a mixture of pride, disbelief, and fear of what next. However, with good reviews, and some wonderful feedback from complete strangers, I started to get a sense of being accepted as a bona fide fiction writer. The experience was transformative in that I felt I could now legitimately call myself a novelist, and carry on doing what I love with more confidence than before. It deals with universal human themes – love, loss, and the pursuit of dreams. As an ensemble piece, it presents several characters, all equally important, and you get to see how each of them deals with what life throws at them. The story is made up of separate character plot lines, but they come together regularly as an ensemble. It’s about how they draw strength from each other, as well as how they tackle their personal challenges. Also, central to the story is the enigma I referred to above: what exactly is The Fifth Voice? The book is of average length (80,000 words), which may sound a superficial point, but I’ve known book clubs flounder with much longer novels when some of the club members couldn’t made it through to the end in the allotted time! I can see what Hilary Mantel means. I was brought up a Catholic, and a sense of guilt (yes, that old cliché) is what you’re given early on as a child. Like Mantel, I lapsed when I was about twelve, but the guilt remained, manifested as a sense of not deserving anything by right, by an abiding habit of self-analysis, and of always being hard on myself. I think these traits, while not ones you would necessarily wish upon a child growing up today, do help as a writer! I’d say I’m a hybrid of the two – an architectural gardener, if you will. I need to have the trellis or bamboo poles in place first, then when I plant the seed, I know roughly how the plant is going to grow. I start with an overall concept for the story, which can probably be described in a sentence or two. I then flesh this out until I have an outline synopsis. I then start to build the scenes and chapters, planning two or three chapters ahead as I go. Once the first tendrils have started to get a grip, I usually find that the story grows naturally, though not always in the direction I might expect. Q: If you’re not too superstitious to talk about it, can I ask what you’re working on at the moment? A sequel to The Fifth Voice. This was never part of the plan. However, readers started to ask me when the sequel was coming out, and this surprised me at first. I felt I ended the first book at a point that made sense, and while the characters clearly had the rest of their lives ahead of them, I hadn’t intended to explore any further. But clearly there were unanswered questions in readers’ minds, and an appetite to find out what happened to the characters on the next leg of their journey, so who am I to argue? Not immediately or directly that I’m aware of. No doubt my writing style has been influenced subliminally by the authors I most admire and the books I have most enjoyed, but I don’t think I can trace any single aspect of my style to a specific book or author. There’s always something to admire and learn from when reading great novels, whether it’s the big stuff like characterisation and plot development, or the minutiae of word selection and sentence construction. I do think it’s important to develop your own style, wherever that may come from. Q: Willa Cather said, “There are only two or three human stories and they go on repeating themselves.” How, then, is it possible to write something unique? It’s the same with music. There are only seven notes in the scale, and people have been shuffling them around for centuries, creating new variations on the same themes. What makes music compelling is the way it is constructed from the elements of melody, harmony, and rhythm, and how the composer plays with light and shade to create a unique soundscape. Similarly with writing, what makes a story compelling is how the elements of plot, structure, characters, setting, and style come together. There may be a limited number of themes to play with, but there’s an endless number of potential variations. Q: Paul, you’ve very kindly offered three copies of The Fifth Voice as prizes. What should readers do if they’d like a chance of winning one? 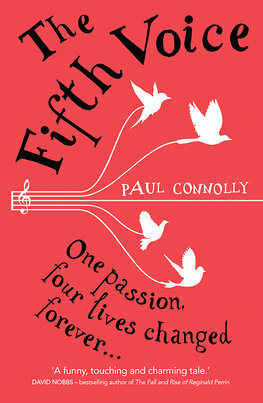 Readers should email me at connolly.paul@yahoo.co.uk with the title ‘The Fifth Voice Giveaway’ and tell me in no more than 100 words ‘What reading means to me’. I’ll pick my favourite three as winners. Want to find out more about Paul and his writing? Visit his website or his Amazon Author Page, follow him on Twitter or find his fiction at WH Smith. He is happy to visit book clubs (either in person or by Skype, depending on distance). Remember, if you enjoyed this post please share it. If there’s anything else you’d like to ask Paul, leave a comment. I’m a singer too and this sounds like the kind of book I would enjoy. I’ve just borrowed it from the Kindle Owner’s Lending Library and am looking forward to reading it. Thanks for pointing that out, Margarita. It’s now fixed. I hope you enjoy the book.